Hartwick values a campus environment with a global perspective. That’s why we offer domestic and international students merit scholarships of $25,000 - $37,000 per year! Our students receive $60 million in financial aid annually to help make this personalized education affordable. Merit and need-based awards are based on a variety of factors, and need-based financial aid is also available every year. The “true cost” of a Hartwick education is our “sticker price” minus the generous scholarships and financial aid we offer. The value of a Hartwick education can be measured by the quality of the academic and co-curricular experiences we provide and the “true cost” of attending. For more on Hartwick College affordability,check out our video. 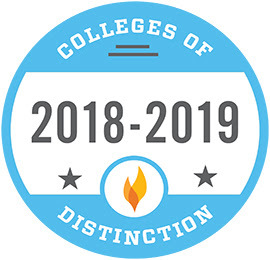 U.S. News & World Report ranked Hartwick among the 229 "Best National Liberal Arts Colleges," and also ranked us tied for 184th of national liberal arts colleges in "High School Guidance Counselor Rankings"
Wall Street Journal/Times Higher Education ranked Hartwick 360 this year of 968 schools covered. 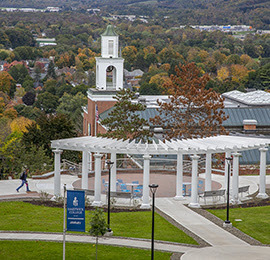 Hartwick was also the 138th private liberal arts school ranked overall. For images from around campus and on the playing fields, make sure to check out Snapshots!